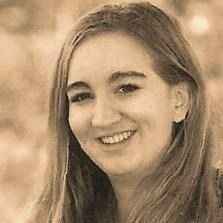 Dr. Megan Hodge has been teaching piano and voice lessons for 19 years, first in Atlanta, GA and then Kona, Hawaii. She also holds a Ph.D in astrophysics and loves the balance that music gives to the science part of her life. In Atlanta, she was the conductor and artistic director of the Buckhead Girls Choir and a frequent music director, soloist and accompanist around the city. She has sung and played at over 200 weddings and has been featured in concerts, recordings and benefits around the world. Megan has played a huge variety of roles, including Narrator in Joseph and the Amazing Technicolor Dreamcoat, Eva Peron in Evita, Marion in the Music Man, Roxanne in Cyrano de Bergerac, Mary Jane in Big River, Annie in Annie Get Your Gun, Maria in The Music Man and many more. She also plays the trumpet and accordion and is an avid board gamer. Although Megan is a classically trained pianist and vocalist, she enjoys all types of music and tries to find material that is catered to each student's individual preferences and needs. Request Lessons with Megan today!